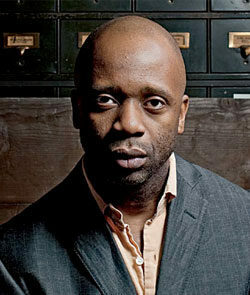 Theaster Gates is a successful artist and innovator in the field of social practice, who combines strategies of urban planning, object making and performance. 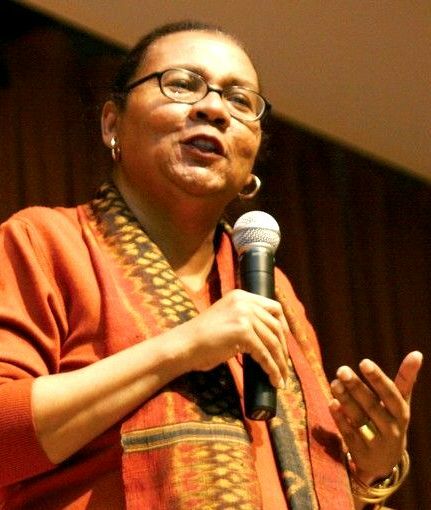 Gates is currently the Artist and Director of Arts and Public Life at the University of Chicago. He is internationally recognised for his work on the South Side of Chicago, including Dorchester Projects, Black Cinema House, and the upcoming Stony Island Arts Bank and Dorchester Artists Housing Collaborative. Founder of the non-profit Rebuild Foundation, Gates’ work both in museums and in communities responds creatively to the challenges of space. In 2013, Gates opened the Arts Incubator in Washington Park, a vision he developed as Director of Arts + Public Life at the University of Chicago. The renovated building is now home to artist residencies, a design apprenticeship program, exhibitions, performances and talks. The Arts Incubator has received awards including the Urban Land Institute Chicago Vision Award for Programming, Chicago Community Trust Outstanding Community Strategy of the Year Award, and the Neighborhood Housing Services of Chicago Community Impact Award. Gates has exhibited and performed at the Studio Museum in Harlem, New York; Whitechapel Gallery, London; Punta della Dogana, Venice; Museum of Contemporary Art, Chicago; Santa Barbara Museum of Art; and Documenta 13, Kassel, Germany; among others. Gates has received awards and grants from Creative Time, the Vera List Center for Art and Politics, United States Artists, Creative Capital, the Joyce Foundation, Graham Foundation, Bemis Center for Contemporary Arts, and Artadia. "Theaster Gates is redefining how we think about artists in fresh and engaging ways. He speaks not only about his work as an artist, but also about what he has learned from building a non-profit organisation. He delivers an inspiring presentation about space development, object making, performance, and critical engagement with many publics. "